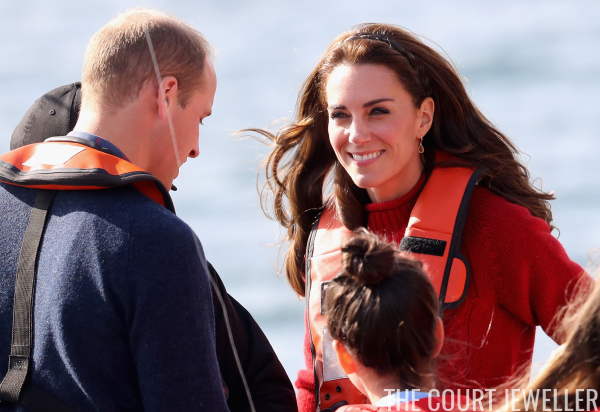 On Friday, the Duke and Duchess of Cambridge spent their penultimate day in Canada in Haida Gwaii, an archipelago in the northern part of British Columbia. (Until 2010, the area was officially known as the Queen Charlotte Islands.) For a fishing trip with a youth organization, Kate chose a very familiar pair of earrings. Kate's been wearing this pair of citrine drop earrings from Kiki McDonough since her very earliest days as a member of the royal family. She actually debuted them before her wedding, at her first official royal engagement: the launching of a lifeboat in Angelsey. 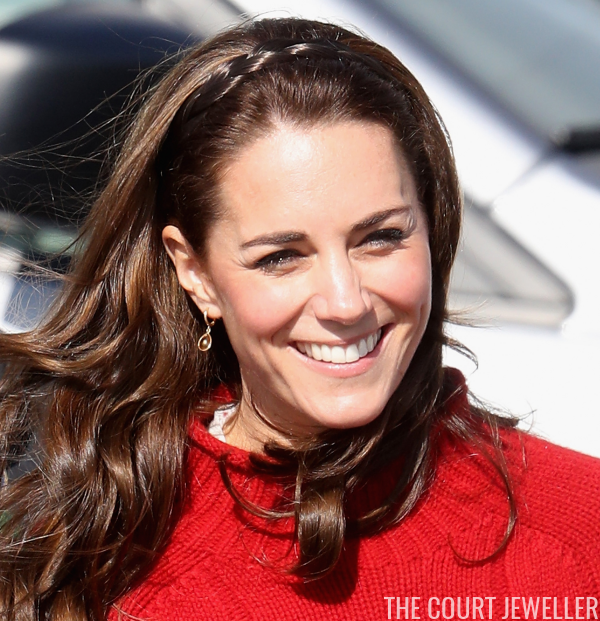 For this occasion, she paired the earrings with a red cable-knit sweater. The earrings are small, but they added a bit of welcome sparkle to a day of casual, outdoor engagements.